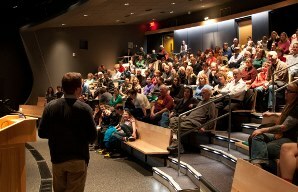 The Minnesota Zoo is pleased to present the Our World Speaker Series. Join wildlife and wild place experts as they share their amazing stories of working around the world on conservation and environmental issues. Open to all adults who are interested. Invite your neighbors, friends, and family. Free to attend! However, space is limited, so pre-registration is required. Registration will open one month prior to each event. Did you miss the last speaker? See video recordings from past speakers.